On Korean dramas, you often find actresses that have gained prominence through kpop or other idols. Choi Ye Seul, however, burst onto the scene as an actress with her performance as Chooljoonghan Yeoja in Remarkable Woman in 2014. At just twenty one, Choi Ye Seul is a fresh face on the Korean drama scene. She impressed so much in her debut, however, that she was quickly cast in other TV series and dramas. Notably, this year she is one of the lead roles in the popular MBC drama Eomma (Mom). Although she only made her debut a couple years ago, there’s no doubt we’ll be hearing more from Choi Ye Seul as she further establishes her career. Soon, many young girls will be looking to her as inspiration — in fashion too! We are already impressed by her taste in bags, with this simple yet lovely shoulder tote bag from Vogatha, a relatively new brand from graphic designer Annette. Made of unused industrial-grade canvas, such as that used to make industrial laundry carts, all Vogatha bags are environmentally friendly and impervious to wear and tear. We imagine that Choi Ye Seul uses this tote all the time — it’s convenient and fashionable! To find out more, check out www.vogatha.com! 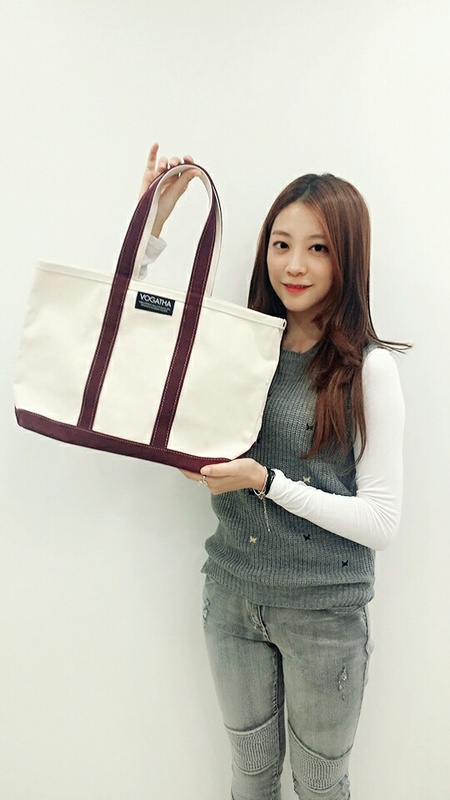 Share the post "New actress Choi Ye Seul and her bag!" Posted in CELEBRITY'S PICK and tagged canvas tote bag, choi ye seul, choi ye seul bag, choi ye seul fashion, choi ye seul style, shouder tote bag, VOGATHA. Bookmark the permalink.